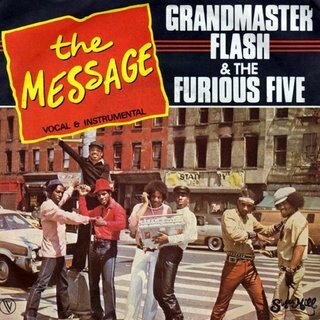 Who hasn’t heard the statement “It’s like a jungle sometimes?” Released over a three decades ago, Grandmaster Flash and the Furious Five’s rap song, “The Message” still reigns true today and is a timeless classic; why would it not be profound? Of course, some of the references made in the song may not apply today or may have evolved into other issues, but most people who grew up in the 80s or even the 90s are familiar with the hook and sing along passionately as they swing on vines and vines of problems and truck through the muck and the mire of life. There is a sense of urgency and intense emotion expressed in the hook. “Don’t push me ‘cuz I’m close to the edge.” How do people really know when they are “close to the edge?” Most use their intuition and draw conclusions based on how they are feeling, what they can see, how their current circumstances look and sometimes what others tell them? Why do some people invite the “edge” and view it as an opportunity to improve their survival instincts rather than a frightening ordeal where they will not survive should they be “pushed” over the edge? If you agree with the statement, “It’s like a jungle sometimes,” then why not plan accordingly? If you see the “edge” coming or know that its approach is imminent, why not strategize how you will handle it? Will you jump to the nearest vine, try to back pedal in hopes of preventing the inevitable, jump clear over the edge because you just can’t take it anymore or do nothing and pretend that the edge does not exist, resulting in your eventual downfall? We all have our own jungles involving work, school, finances, relationships, family, etc. Our survival instincts are what keep us “from goin’ under,” but it is our preparation and intense training for the “jungle” that not only makes life bearable but challenges people so that they cannot only see what they are capable of handling but to help them get to the beautiful aspects of this “jungle.” Who do you think would be the most industrious and resourceful and manage to fair well in life: the person who has tackled the swamp, quick sand and crocodiles of life head on or the person who constantly complains and is too scared to face the challenges presented, focusing more so on the gooey swamp water rather than how they are going to successfully get to the other side by finding a vine? How are you surviving in this jungle of life? The Message uses the simile, “It’s like a jungle sometimes” to demonstrate how difficult and challenging life can be. To use a jungle indicates that it is quite likely that only those who have survival instincts will make it through. Also, the song uses an idiomatic expression which contains a hyperbole. “Don’t push me ‘cuz I’m close to the edge. I’m trying not to lose my head…” Of course, there is not a literal “edge,” but the phrase suggests that he is unable to endure any more of the circumstances of life and that the next issue may result in a nervous breakdown. Furthermore, a person cannot actually lose his or her head, unless there was a guillotine or another sharp instrument involved, but a person can lose his or her mental capacities due to being overwhelmed by stressful situations. Take a look at my rendition of “The Message” for my students.